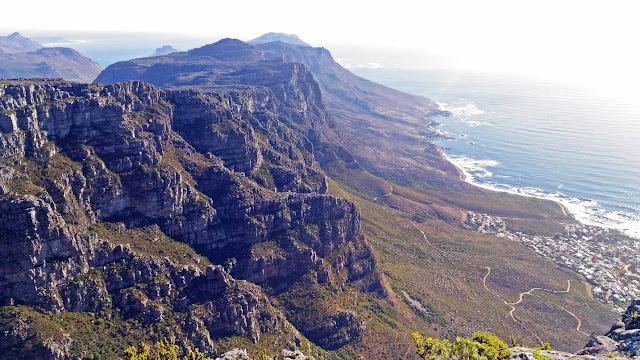 Table Mountain (1,085masl) main feature is the level plateau approximately 3 kilometres from side to side, edged by impressive cliffs. 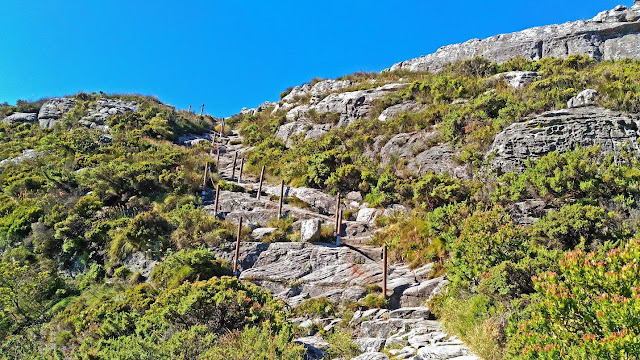 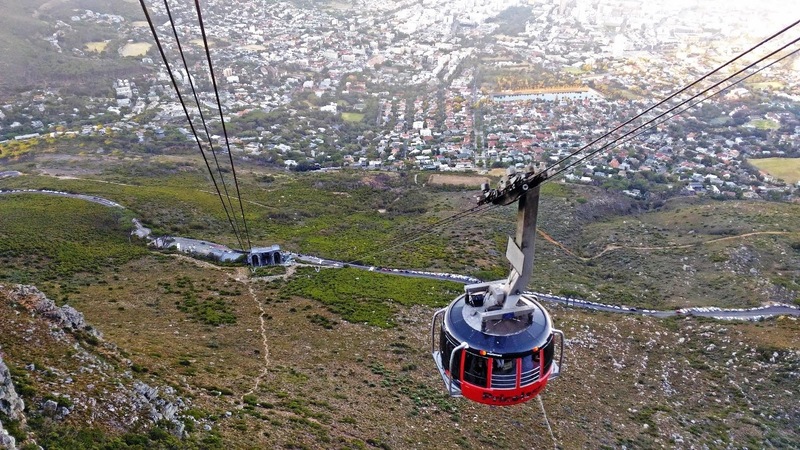 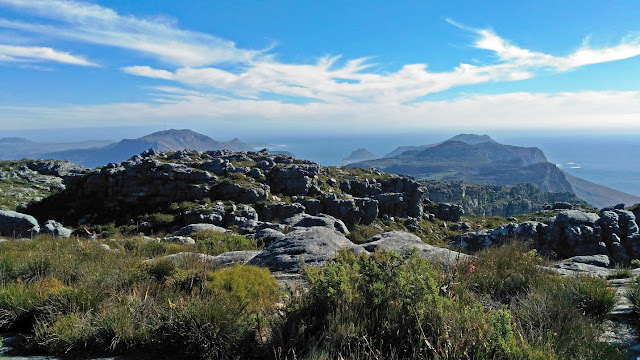 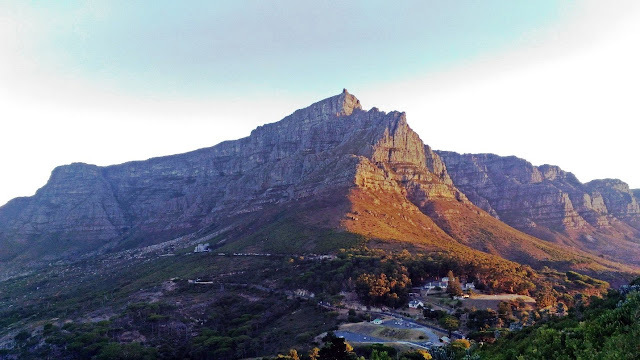 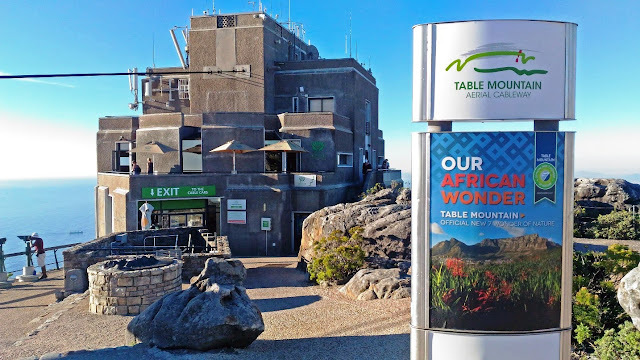 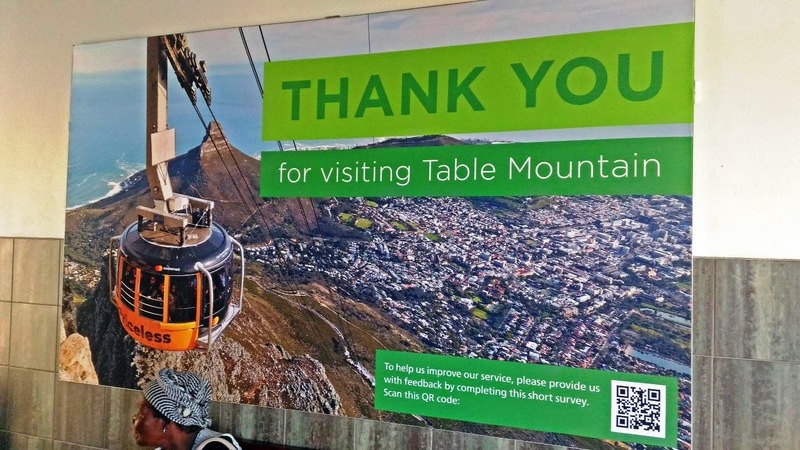 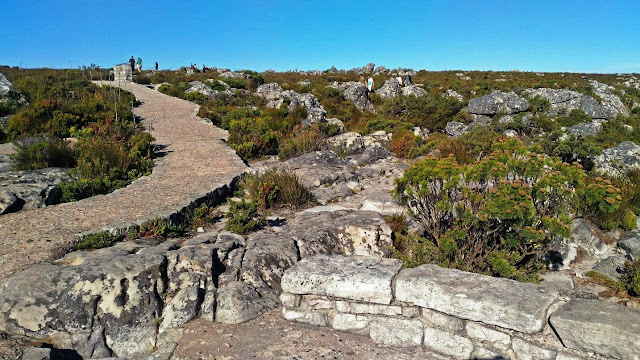 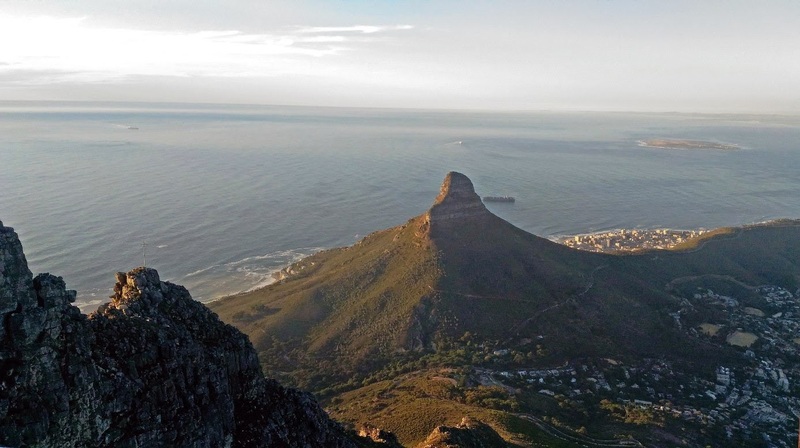 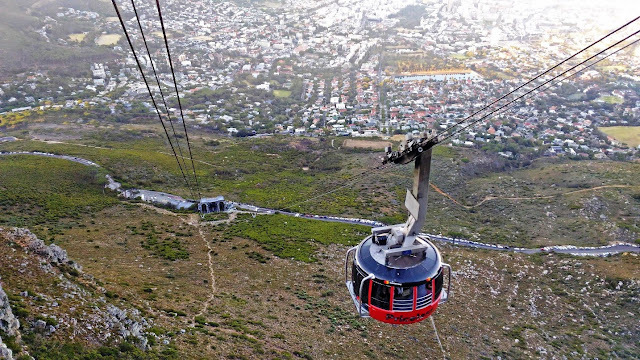 The highest point on Table Mountain is towards the eastern end of the plateau about 19 metres higher than the cable station at the western end of the plateau. 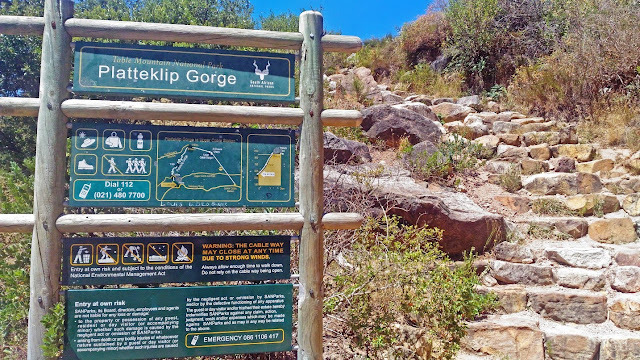 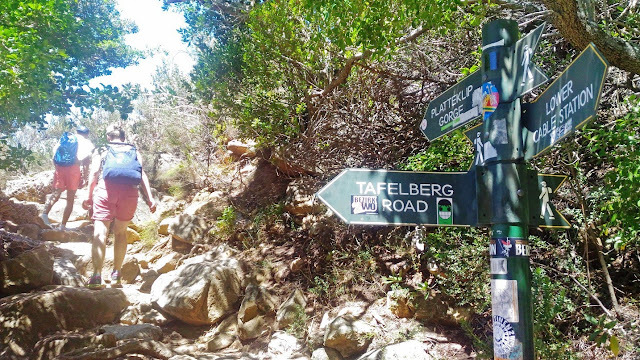 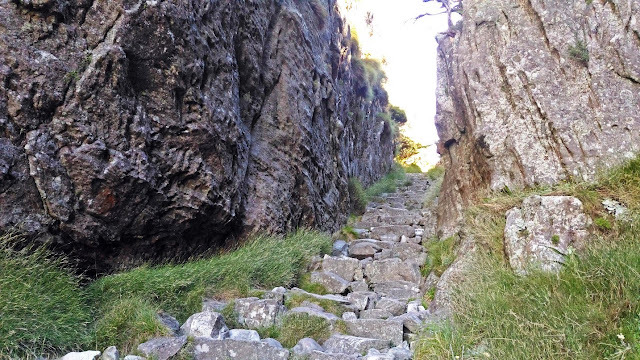 The cliffs of the main plateau are split by Platteklip Gorge ("Flat Stone Gorge"), which provides an easy and direct ascent to the summit.